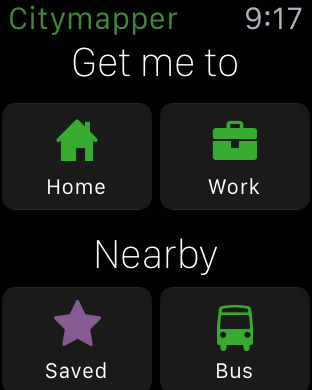 Citymapper's Apple Watch app helps you find out which route to take, and when the next public transit vehicles will arrive. 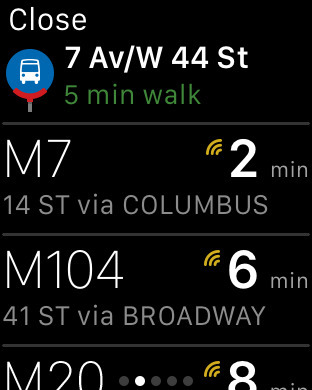 A cool feature is it taps your wrist when your stop is coming up so you don't miss it. Easily navigate to home, work or nearby locations. 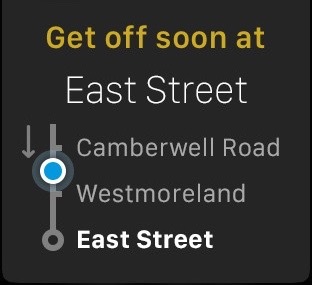 See service alerts at a glance on your Apple Watch. We're reinventing the everyday urban transit app and making the large complicated city simple and usable. A to B trip planning with real-time. 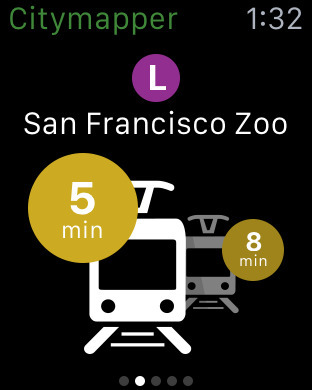 Real-time departure info on all modes of transit.